We left Lübeck and drove north to the Baltic sea and the island of Rügen. From Stralsund on mainland to reach the island we went over the Strelasund Crossing. Like all other roads in Germany it is new and in perfect condition [no potholes like our poor CA roads] and a very modern pre-stressed concrete cable-stayed bridge spans the Strelasund between Stralsund and the island. We than drove to the town of Binz and stayed in a hotel charmingly called 'Travel Charme Kurhaus Binz'. We had a great room overlooking the beach and the pier. We really lucked out during this trip and had sunny and warm days, a pretty amazing event considering it rains a lot on the north coast. Might be global warming, you say? Nooo!! Our geniuses in the Congress say - not so! The next day, with another day of spectacular sunshine, we took a boat ride and discovered the white cliffs of Rügen. I had been fascinated by them ever since I had discovered the art of Caspar David Friedrich. 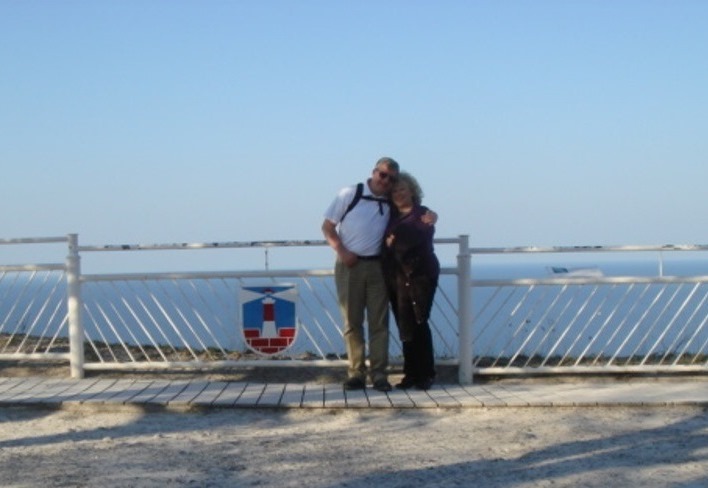 The boat ride was about two and a half hour long and took us all the way to Sassnitz where we saw two of the most famous of those cliffs Königsstuhl and Victoria's Sicht. 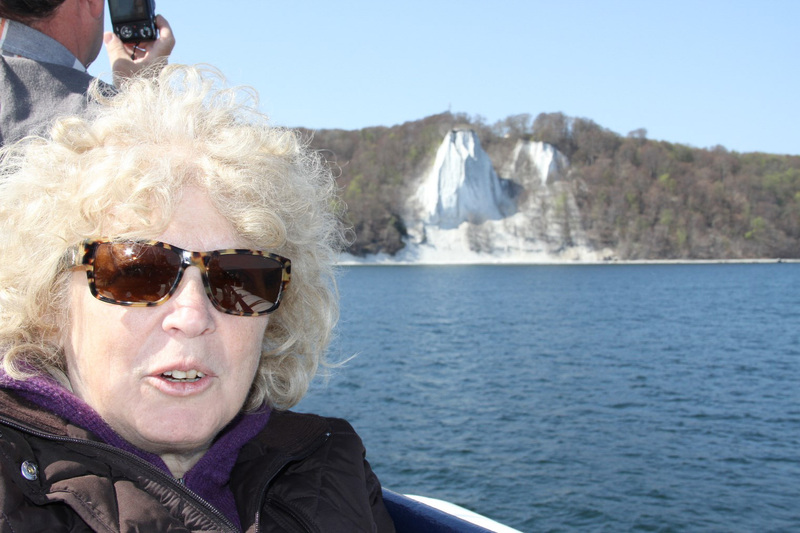 We later drove to Jasmund National Park and hiked to the sights that we had seen from the boat. Despite the sun it got colder on the boat and on the way back we couldn't avoid the Baltic Sea wind. Hiking through the woods to the sea. And finally we got to a place where I could almost duplicate, emulate, a 21st century un-romanticized version of the famous painting by C.D. Friedrich : Chalk Cliffs on Rügen. Having discovered another part of Germany, we happily drove back to the hotel and had a nice meal and a great evening.